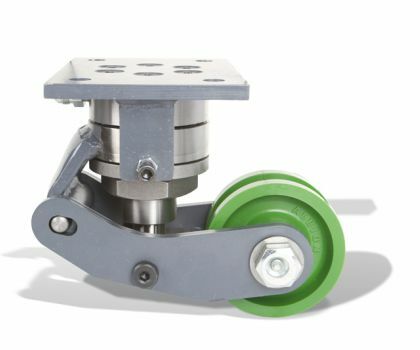 This patented system provides a vertically adjustable caster in a closed loop hydraulic system. 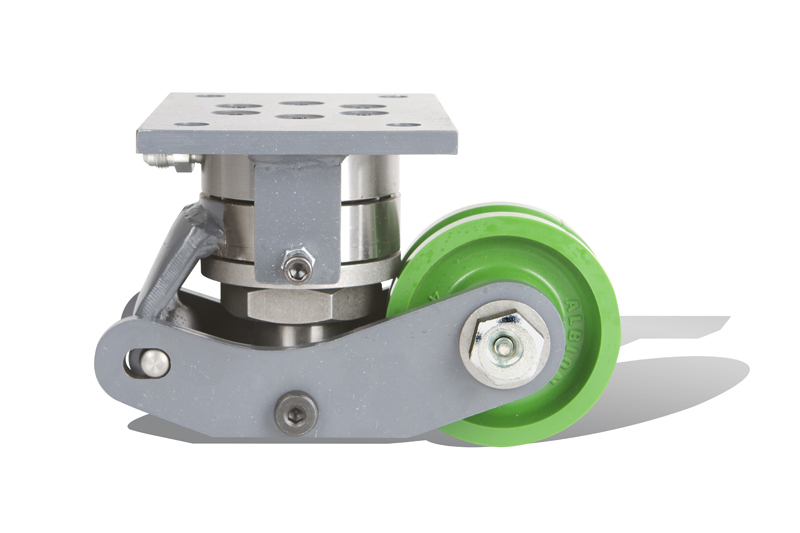 Each caster has its own mounting plate allowing each to be mounted individually but, plumbed together as desired. Standard hydraulic pumps and valves are used to direct hydraulic fluid through the system that is designed on an individual basis. The Hydraulic Lift System is commonly used for machinery moving and rigging but, offers endless possibilities. 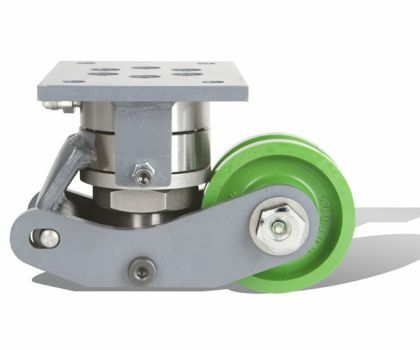 The Standard hydraulic caster has a lowered overall height of 5.5″ and an extended OAH of 7.25″. 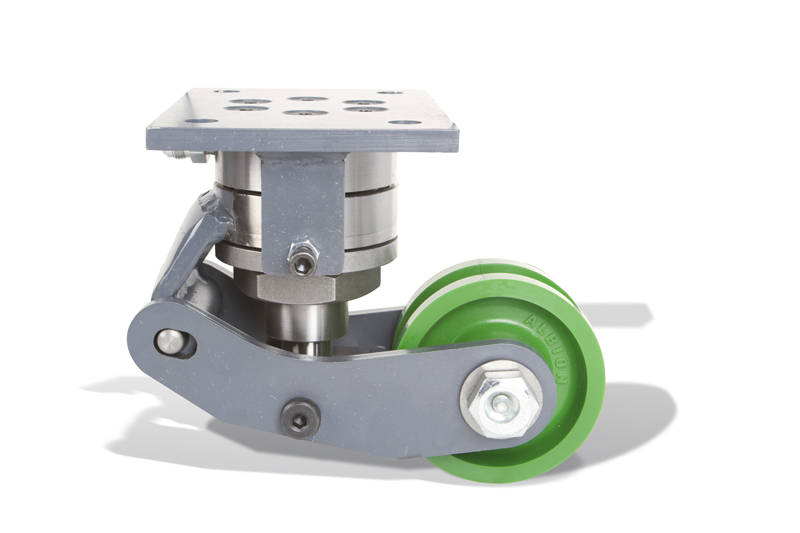 Hydraulic casters can be customized to fall within different operating parameters. Ross Design™ is proud to be the only company that offers this remarkable, innovative system. Let us put this high quality, durable Hydraulic Lift system to work for you! This unit can be operated with either a power unit or a manual pump.